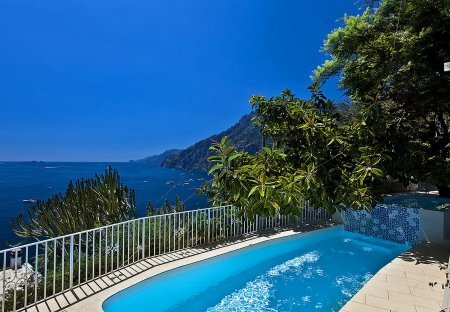 Rent villas and apartments in Positano, Italy with private pools. Book affordable holiday rentals that are near a beach and golf course. This 1 bedroom apartment with swimming pool is located in Positano and sleeps 4 people. It has WiFi, air conditioning and parking nearby. The apartment is near a beach. A Sea View House with 2 bedrooms and 2 bathrooms in the centre of Positano. This 3 bedroom apartment is located in Positano and sleeps 6 people. It has WiFi, parking nearby and a gym. The apartment is within walking distance of a beach. Sea view apartment in Positano center. This 2 bedroom villa is located in Positano and sleeps 4 people. The villa is within walking distance of a beach. This 2 bedroom apartment is located in Positano and sleeps 5 people. It has WiFi. The apartment is within walking distance of a beach. A fantastic Luxury villa perched on the cliffs of Positano with breathtaking views. The Villa with 6 bedrooms each with private bath, can accommodate 12 people. 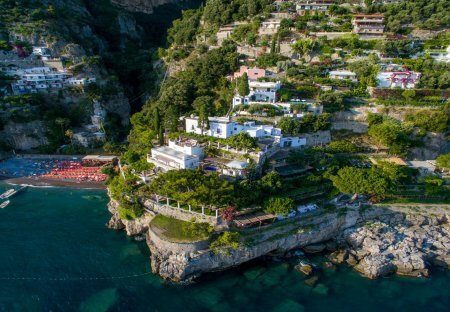 A spectacular beacon of classical elegance, Le Rocce is a five-bedroom masterpiece on the hilltops of the Amalfi coast in the heart of Nocelle village. In the centre of Positano, famous tourist locality on the Amalfi Coast, we offer a prestigious apartment with sea view elegantly furnished and with all comforts. Villa with swimming pool and sea view..... Relaxing resort, it's the ideal accommodation for your summer holidays! !